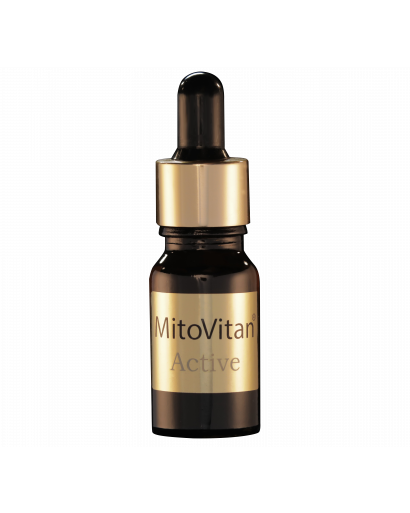 MitoVitan Active* contains the unique substance – SkQ1 which, being a highly efficient antioxidant, is able to penetrate into the cells and condensate in areas of elevated formation of reactive oxygen species and free radicals – in mitochondria. This makes it 1000 times more effective than Coenzyme Q10. Just add MitoVitan Active concentrate to your favorite cosmetics right before the application**. This allows using all the powers of targeted antioxidant SkQ1 to your preferred way of treating your skin. The unique substance SkQ1, is effective in any place, where it is necessary to fight the aging program. 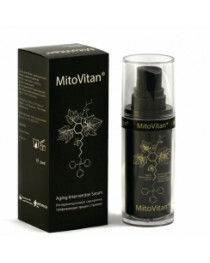 You can use MitoVitan Active to treat your face, neck and decollate areas, for your head and body. 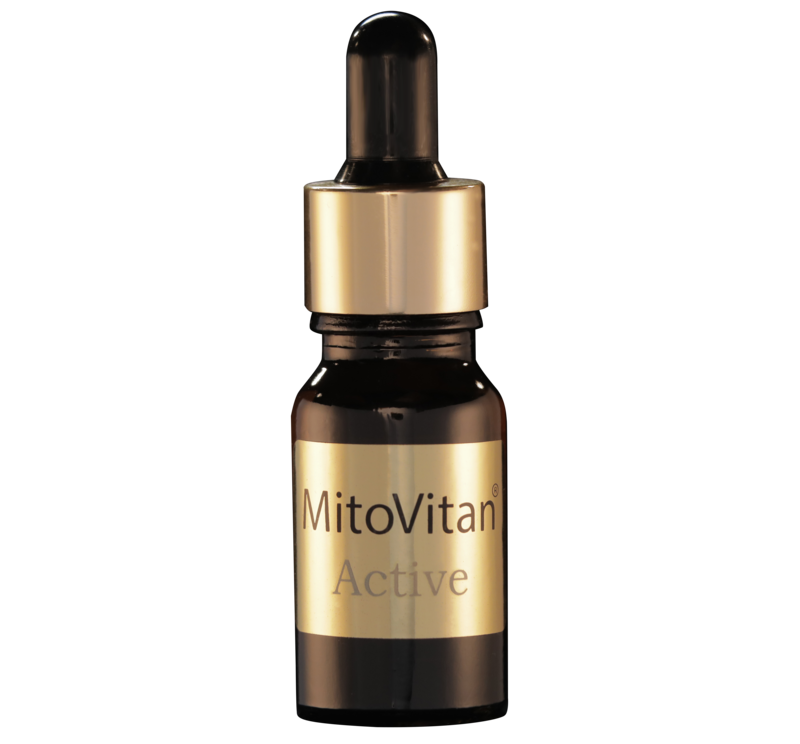 You can use MitoVitan Active permanently or temporally. Recommended cure is three months. SkQ1 has been developed in Moscow State University in group of Professor V. Skulachev. Long-term scientific and clinical studies have shown that SkQ1 slow down, stop or reverse the progression of many traits of aging. The unique feature of extremely effective antioxidant SkQ1, is the ability to penetrate into cells and to accumulate directly in the place of free radicals formation – in the mitochondria. Aftermarket independent study revealed a robust effect of the serum to act as a primer that extends and sustains the wear of makeup during the day. Furthermore, the serum perfects the structure of the skin making it look flawless and velvet day after day. ** We do not recommend to combine Concentrate with alkaline (also weakly alkaline) cosmetics (pH value higher than 7), as in this environment the SkQ1 molecule is least stable. These may include, for example, shampoos. If this case we recommend to add MitoVitan Active to the hair balm (which as a rule has pH value lower than 7) or use a pH-neutral or low pH shampoo. You can use any of your basic cosmetic for face (including eyes area) and body skin. Preparation: mix one or two drops of MitoVitan Active with one milliliter (one measuring Mito-spoon) of your cosmetics (serum, cream, oil). Thoroughly combine the mixture in Mito-jar until smooth. Application: apply mixture on clean face and neck skin with light patting along the massage lines. 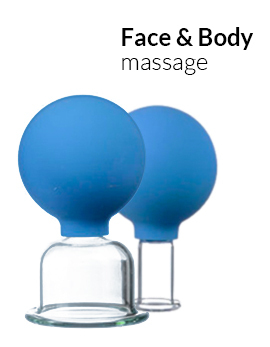 We recommend the application with “finger-rain” – this will relax the muscles and normalize the blood cycling. You can make a larger portion for your comfort using same proportions: 1-2 drops of MitoVitan Active to one measuring Mito-spoon. IMPORTANT: please, store the ready-made mixture no longer than two weeks. Recipe 2: For thinner cosmetics. You can use any of your favorite face, body or head basic care cosmetics. Preparation: Mix 10 ml (1/2 of Mito-jar) of your favorite cosmetic with 10 drops of MitoVitan Active. Thoroughly mix the closed Mito-jar within 20 seconds until smooth. Application: Apply the mixture as recommended by your basic care cosmetic manual. MitoVitan Active is water-based, that is why you may experience some difficulty in mixing it with cosmetic oils. In this case, you may need to shake the mixture well right before the application. As a result, a suspention of tiny bubbles of Concentrate appear in the mixture, which you need as soon as possible apply to your skin. We do not recommend to store such mixtures. IMPORTANT: we do not recommend to store the ready-made mixtures longer than two weeks (with the exception of oil cosmetics). Terms of storage: keep in dark place under + 15 to + 25 ⁰C. 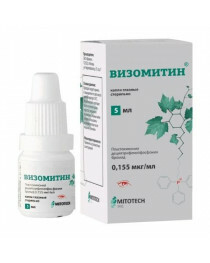 Innovative rejuvenating serum of interventional action on the basis of Ionov Skulacheva®-MitoVitan was developed at the MVLomonosov Moscow State University with the support of the innovative company Mitoteh. Intervention (Latin interventio - intervention) is the only way to stop the biological aging program laid down in our genes. Under the action of this program in the cellular power stations - mitochondria with age, the production of free radicals - active forms of oxygen, which damage all cellular structures and cause aging of the skin and the entire body, increases. The peculiarity of this serum is its ability to interrupt the aging process at the cellular level and to maintain the youthfulness of the skin. 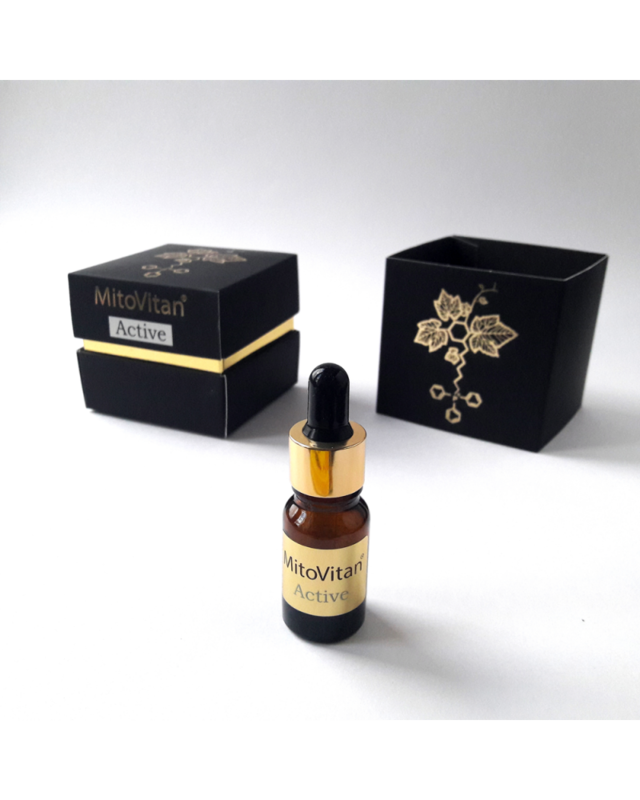 The main active substance of Mitovitan serum, which allows to interrupt the skin aging process, is the innovative antioxidant directed action SkQ1, which belongs to a new class of active substances - Ionam Skulacheva. SkQ1 was developed at Moscow State University named after MV Lomonosov under the guidance of Academician of the Russian Academy of Sciences V.P. Skulacheva. Many years of scientific and clinical research have shown that Skulachev's ions slow down, stop or reverse the development of many signs of aging. 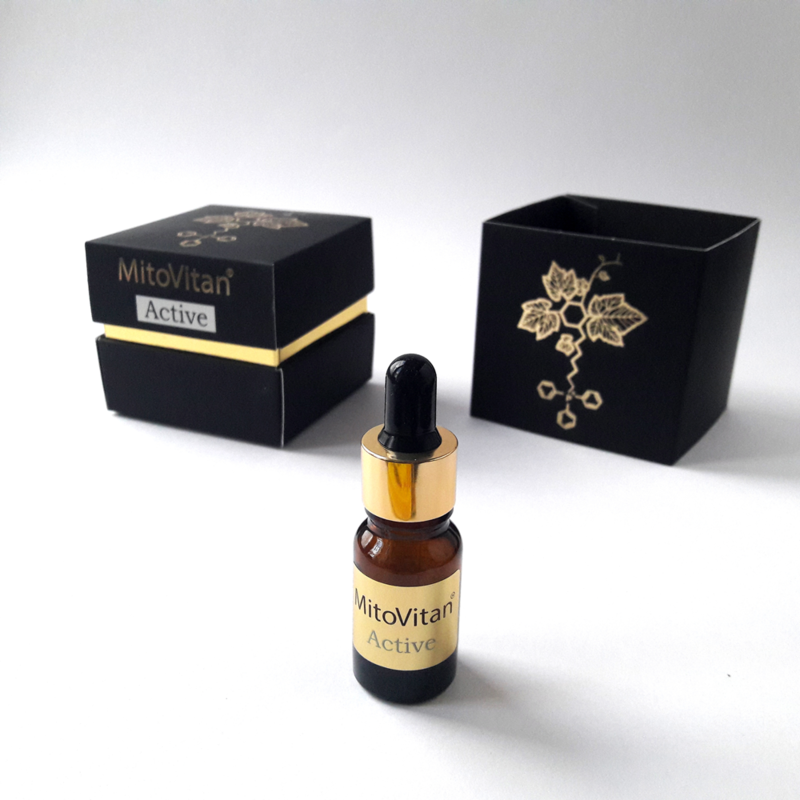 Due to the vegetable components included in the composition, Mitovitan serum also has an immediate rejuvenating effect: it smooths wrinkles, restores the natural water balance and elasticity of the skin. Daily use of serum Mitovitan prevents the formation of deep and facial wrinkles, reduces the visibility of existing ones, protects the skin from external stimuli and activates regeneration processes. Due to the serum of Mitovitan, the general condition of the skin, its moisture saturation and elasticity is improved. Our project is built around the concept of genetically programmed aging. Skulachev ions project (or SkQ project) is a coordinated effort to develop a pharmaceutical intervention that would able to slow down or even stop the execution of aging program in human organism. Our goal is to prolong the health span - period of healthy, productive and happy living. There is a lot of data indicating that the process of biological aging is mediated by reactive oxygen species (ROS), generated in the most important cellular organelle – mitochondrion. We based our work on the assumption that a controlled decrease in mitochondrial ROS production may result in deceleration of aging and at the same time may help with treatment of various age-related diseases. We have created a potent mitochondrially targeted antioxidant SkQ1 to counter excess of mitochondrial ROS and developed several pharmaceutical formulations based on this active compound. The project is based Moscow State University and operated by the university spin-off company Mitotech. Many laboratories, CROs, clinical hospitals in Russia, US, EU, Australia and other countries participate in the research and development of SkQ-based pharmaceuticals. At the turn of 1960-1970s, in 1969 V.Skulachev and his Moscow State University (MSU) colleagues, in collaboration with Prof. Yefim Liberman’s team (USSR Academy of science) were verifying the chemiosmotic hypothesis proposed by Dr. Peter Mitchell (Nobel Prize Winner in Chemistry, 1978) who postulated the existence of electric potential difference across the mitochondrial membrane. The results of their work (published in Nature, 1969, 222, 1076-8) suggested that some compounds - lipophilic cations (phosphonium ions for instance) – can be targeted to mitochondria due to the electric field on the mitochondrial membrane as the mitochondrion has a negative charge inside. Those scientists developed a general approach that led to synthesis of hydrophobic ions capable of penetrating mitochondrial membrane. Mitochondria are well known to be organelles present in practically every eukaryotic cell. Mitochondria can be called the power stations of living cells. Inside mitochondria the electric potential formed by respiratory chain enzymes through oxidative degradation of nutrients is transformed into the energy of ATP (adenosine triphosphate) chemical bonds. A substantial negative charge is formed inside mitochondria in the process of electric potential difference generation on the mitochondrial membrane. It is important to stress that the inner mitochondrial space is the only place in living cell which is negatively charged in relation to its external environment. This unique mitochondrial feature was suggested to be used for targeted accumulation of positively charged substances in mitochondria. Positively charged ions (cations), were hypothesized to be accumulated in mitochondria after getting into a cell. In order to verify this hypothesis cations of triphenylalkylphosphonium (TPP) were studied. Positively charged phosphorus atom is surrounded by hydrophobic residues in TPP. The charge is evenly distributed through the whole space around the central atom in this type of ions. Such a construction prevents ion hydration, the main reason of membrane’s impermeability for charged molecules. TPP cations proved to get accumulated in mitochondria. Back in 1970 S.Severin, V.Skulachev and L.Yaguzhinsky suggested to use penetrating ions as “electric locomotive molecules” capable of transporting into mitochondria different substances that would be able to influence processes taking place in these organelles. Back in 1974 American biochemist David Green suggested this type of penetrating cations to be called “Skulachev ions” or “Sk”. At the end of the 90s British scientist from Cambridge Michael Murphy connected TPP ions to antioxidants – vitamin E and ubiquinone. This work was part of the same concept of molecular electric locomotives capable of targeted transport of different substances into mitochondria. The data of Murphy et al proved MitoQ (the name given to this new substance - ubiquinone attached to TPP) to actually get accumulated in mitochondria, which resulted in protection of mitochondria and cell cultures from oxidative stress. But so far it hasn’t been possible to use these substances on a wider scale, most likely because of a strong pro-oxidant activity and lack of effectiveness in small concentrations. Some new possibilities opened up only in the beginning of this century. In 2004, a new substance was synthesized by the group of professor Vladimir P. Skulachev in the Moscow State University. Our project team later gave the substance its “production” name “SkQ1". Two commercial entities Mitotech Russia and Mitotech EU were established around 2010 with an aim to develop SkQ1 into a drug targeting several age-related indications. Targeted therapeutic areas include ophthalmic and neurodegenerative disorders. The companies are running their clinical programs in different geographical markets with a common goal of making SkQ1-based drugs available to patients world-wide. In 2004, a new substance called SkQ1 was synthesized in the group of professor Vladimir P. Skulachev in the Moscow State University. ” The name SkQ1 was given to the substance as the first representative of a particularly potent class of molecules named “SkQ” – the term introduced by the team to describe molecules containing ion Sk an a quinone. A part of SkQ1 coined “Skulachev ion” or Sk functions as a molecular “locomotive” or “towing truck” carrying the other part of the molecule – an extremely active antioxidant plastoquinone – into mitochondria. Both theoretical calculations and experimental results showed that SkQ1 is delivered into mitochondria in an extremely targeted and efficient manner. The physics of mitochondrial membrane and the unusual properties of “Skulachev ions” direct SkQ1 into the inner leaflet of the inner mitochondrial membrane with high precision. Presence of SkQ1 in mitochondrial membrane enables mitochondria to protect itself from reactive oxygen species (ROS) by breaking chain reaction of lipid destruction. This ability of our molecule to protect cells against oxidative stress plays a very important role in treating patients suffering from various age-related disorders such as cardiovascular diseases, neurodegenerative disorders and various ophthalmic conditions. But our technology does not end there. Developing methods for effective delivery of mitochondrially addressed antioxidants into organism is another challenging task. Mitotech successfully solved this complex problem for a variety of therapeutic areas and designed several SkQ1-based pharmaceutical products going through various stages of clinical development. Reactive oxygen species, ROS, include oxygen ions, free radicals and peroxides of both organic and nonorganic origin. As a rule those are small molecules that possess a very high ability to interact with other substances (to oxidize them) due to the presence of an unpaired electron in the outer shell. ROS are known to present serious danger for living cells and whole organisms (even though under certain conditions they can also fulfill some important cell functions, e.g. participate in regulation). The primary forms of ROS are superoxide (O2-.) and its derivative hydrogen peroxide (H2O2). And even though a number of enzymes responsible for transformation of O2 into the primary forms of ROS were discovered in living cells, all of them proved to produce far less ROS than the respiratory chain of the inner mitochondrial membrane. Mitochondria of an adult absorb about 400 liters of oxygen per day converting it to water in the process of four- electron reduction. At the same time if even 0,1% of this oxygen reduction takes place in a chemically more simple single electron manner, it will result in 0,4 liters O2-., and this amount proves to exceed substantially all the other possibilities of ROS generation mechanisms. Experimental data prove these calculations to be true. In other words mitochondria constantly produce the amount of ROS sufficient to oxidize cell DNA, proteins and lipids thus causing their damage. It has been hypothesized that age-dependent accumulation of oxidative damages in living organisms may be the main cause of ageing process. It might be possible to control this damage accumulation through controlling the level of ROS production in mitochondria. It is important to stress that ROS production should be controlled, not stopped, so that ROS can still fulfill a number of crucial biological functions. For instance they fight bacteria and viruses, both directly – via elimination of pathogens, – and indirectly – via regulation of the immunological response to infection through triggering apoptosis (cell death). Antioxidants are a well−developed pharmacological approach to fight against ROS. A possible role of antioxidants in controlling ageing process has widely and for a long time been discussed with ambiguous conclusions, ranging from the statement of the American biochemist Prof. Bruce Ames and colleagues on finding a new anti−ageing therapy with a 100% positive result to D. Howes’s implication of the utter barrenness of this method, and, therefore, of total failure of Harman’s “free radical” hypothesis. According to Dr. Skulachev the antioxidant−based ageing control approach has some significant flaws. The “ideal” antioxidant should be specifically targeted to mitochondria where ROS are produced and it should effectively remove not all the ROS but just their excess. It is also important for an antioxidant not to be toxic and not to be recognized and eliminated by cell enzymes. With these criteria fulfilled, a successful anti-oxidant compound should be able to prevent/repair oxidative damage in organism and prevent/treat many age-related disorders across various therapeutic areas. In pharmacology, the term mechanism of action (MOA) refers to the specific biochemical interaction through which a drug substance produces its pharmacological effect. Usually a new pharmaceutical substance is designed in such a way that it is capable of initiating on a well-known biochemical reaction in the organism. The design process for SkQ1 was dramatically different. The mechanism of action of SkQ1 involves at least two extremely complex and novel concepts: delivering a compound inside mitochondria and reducing ROS production inside mitochondria in a controlled and sustainable manner. SkQ1 molecule successfully addresses these two aspects as our experimental work has shown. And unlike the most of conventional drugs, SkQ1 is capable of treating a variety of seemingly different disorders across all therapeutic areas. SkQ1 has been shown to be effective in animal models of many conditions attributable to ageing process from ophthalmology to neurodegeneration and CV disorders. Our recent clinical studies demonstrated similar direct effects on human organism. - being a “recyclable antioxidant”. SkQ1 being able to target the inner leaflet of the inner mitochondrial membrane with high precision is why only very low amounts of the compound are needed in order to affect the cell at the first place. But our experiments also showed that once inside mitochondria, SkQ1, which is oxidized upon interaction with radicals, is effectively regenerated by the respiratory chain. This valuable property provides SkQ1 with an ability to act on a cell for an extended period of time in low doses. The combination of highly targeted action and being able to achieve effect in extremely low concentrations are probably the major reason why SkQ1 has not shown any adverse effects in therapeutic doses we have been studying in our pre-clinical and clinical experiments. Formal clinical trials covering several ophthalmic indications are underway in Russia and the U.S.
Inflammation is the body’s first line of defense against invading microbes, and it also plays an important role in eliminating diseased cells and damaged tissue in wounds and bruises. However, as we get older, inflammation turns against the body. Inflammation in cartilage is the proximate cause of arthritis, and in our arteries, inflammation creates the plaques which can lead to heart attacks and strokes. Inflammation damages DNA, and can turn healthy cells into cancers. SkQ1 demonstrated its potency in countering damaging aspects of the process of inflammation and treating several serious related disorders. More animal and human studies are underway in this important spectrum of therapeutic areas. The human brain is responsible for approximately 20% of our body oxygen consumption, therefore exposing itself to high levels of ROS. Many recent studies provided strong experimental evidence of involvement of oxidative stress in pathogenesis of age-related neurological disorders. Alzheimer’s disease (AD) is an age-related progressive neurodegenerative disease and the most common form of dementia. The causes of Alzheimer’s disease are not well understood, but several working hypotheses have been developed with oxidative stress being one of them. It has been shown that neurons in AD patients demonstrate significantly more damage in mitochondria compared to those in control patients. Additionally, mitochondrial dysfunction resulting in over-production of ROS has been widely implicated in the cause of AD. Parkinson’s disease (PD) is an age-related neurodegenerative disorder affecting the central nervous system. Although PD is a recognized multifactorial disease, a large body of evidence has implicated oxidative stress in the pathogenesis of PD. The conclusive connection between PD and oxidative stress is supported by the increased oxidative damage of sugars, lipids, nucleic acids, and proteins observed in postmortem dopaminergic neurons within the substantia nigra pars compacta of PD brains. Mitochondria have been claimed as dominant sites for oxidative stress-driven initiation and propagation in PD. Several studies showed high potency of SkQ1 for treatment of age-related neurodegeneration disorders at cellular and animal model levels. Exceptional effectiveness of SkQ1 in targeting mitochondria and protecting it from oxidative stress supports our hopes for positive effect of SkQ in formal human trials as well.